A pair of scroll arm stools with tapestry upholstery. There have been further acquisitions by the NT of the previous contents. 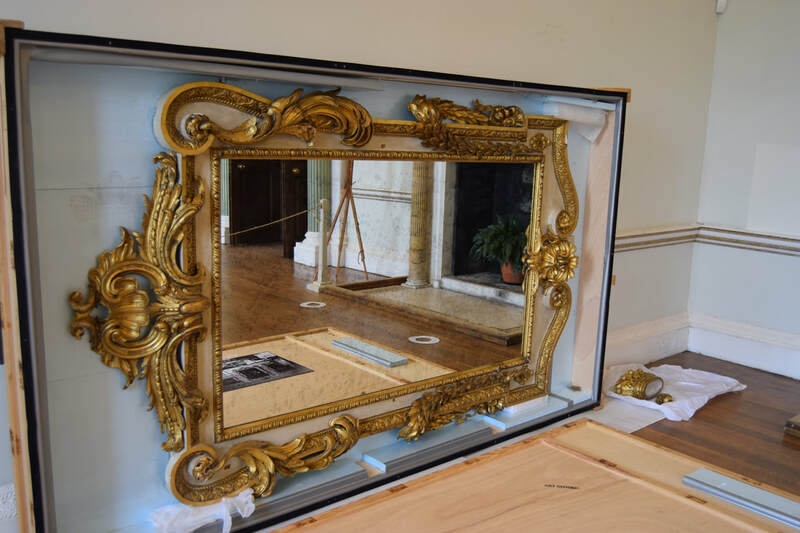 Most recently some decorative portrait frames, which have been converted to mirror frames. The National Trust acquired these frames in 2016. They also bought some of Lady Maria Coventry's chattels following her death in 2007 at public auction. They continue to expand the collection as important pieces become available. 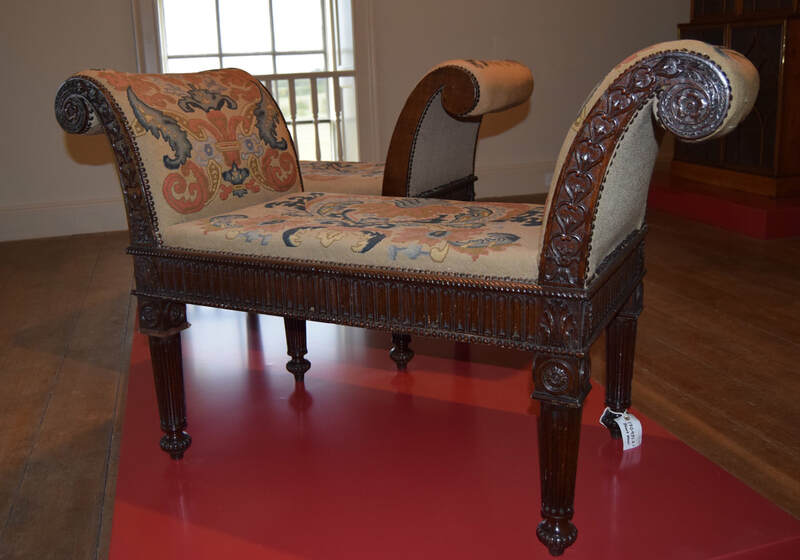 The majority of the collection of Coventry furniture, paintings and other chattels were retained by Croome Estate Trust in 1948 is still under the stewardship of the Croome Heritage Trust. The majority of this collection is the subject of a long loan to the National Trust. It has recently returned from a loan to Kelmarsh Hall earlier in the year. All the pieces are going through a catalogue process. Some of the collection is still in store and a few other items are on loan to other organisations or individuals.